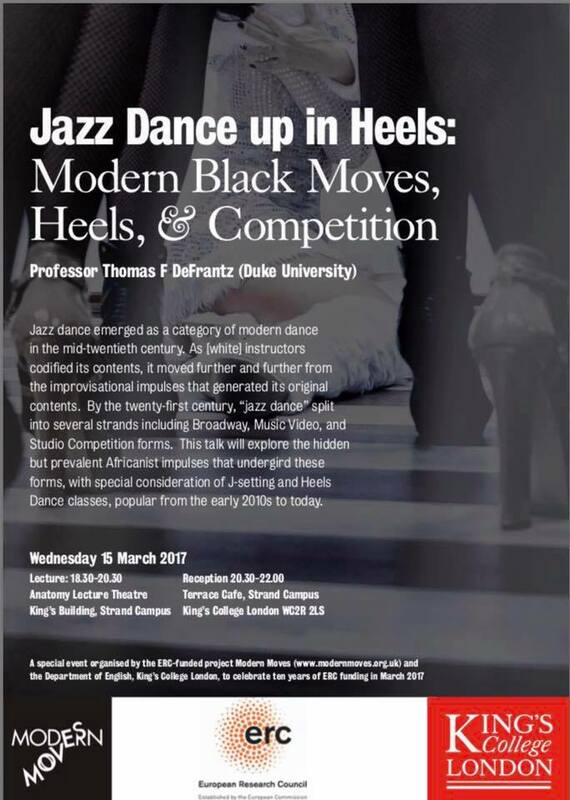 To celebrate the tenth anniversary of the European Research Council, which funds MODERN MOVES through an Advanced Research Grant awarded to Professor Ananya Kabir, The Modern Moves research team is delighted to present a very special lecture by our advisory board member: PROF THOMAS F. DEFRANTZ of Duke University, USA on the 15th March 2017, at 6.30 pm, at the ANATOMY LECTURE THEATRE, King’s College London. Prof DeFrantz is one of the leading intellectuals in the world of Black Dance and is a dancer and performer as well as a thinker. His is truly a ‘mind in motion’. 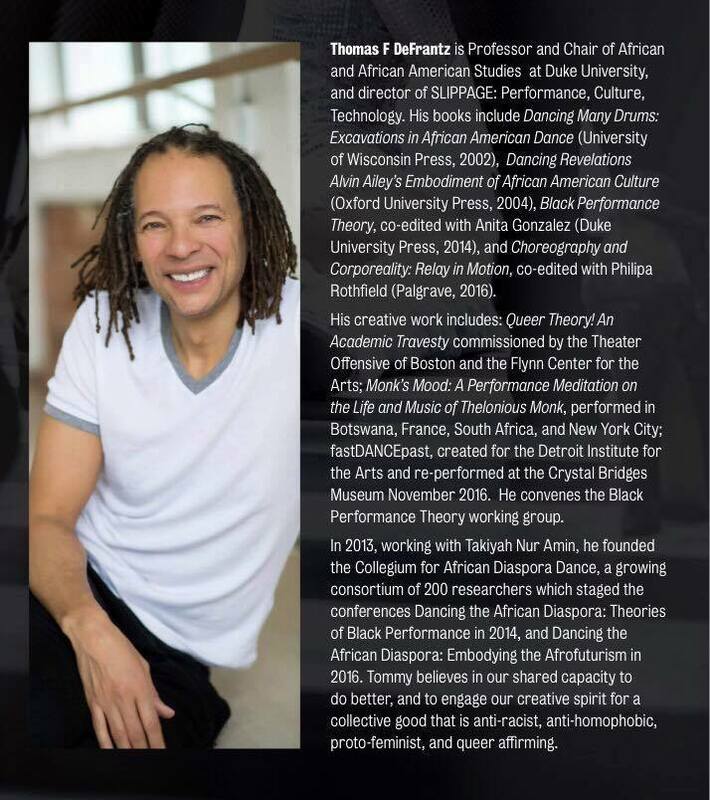 His talk will take us back to a formative moment in African diasporic social dance, the Jazz dance era in New York. Who was dancing, who was watching, and who was imitiating whom, and with what consequences? Come to this lecture to find out more! A reception, enlivened by Mint Julep cocktails and retro canapes, and sponsored by the Department of English, King’s College London (Ananya’s home department) will follow from 8.30 pm- 10 pm at the TERRACE CAFE, King’s College London. This will be a special event, so please make sure you sign up below and come to enjoy our characteristic mix of erudition, entertainment and conviviality! Register here and follow the event on the Facebook event page!